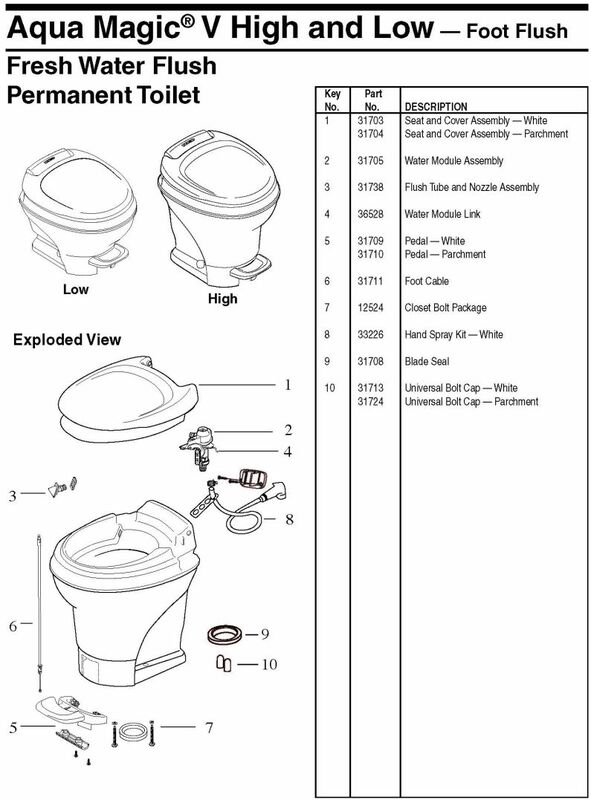 The following parts pertain to the Thetford Aqua Magic V model commode. 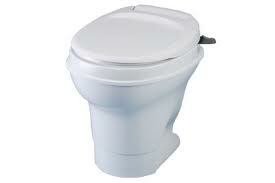 This is a permanent style toilet installed in many RV's around the world. 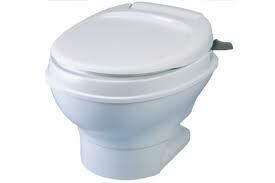 There are two different types of Aqua Magic V models available. One has a hand flush while the other has a foot pedal operation. The parts below pertain to all Aqua Magic V's.